Passengers as well as pilots on the early morning Air India Express IX 611 flight from Trichy to Dubai were unaware that the aircraft they were flying in had hit the perimeter wall of the runway during take-off. Passengers as well as pilots on the early morning Air India Express IX 611 flight from Tiruchirappalli (Trichy) in Tamil Nadu to Dubai were unaware that the aircraft they were flying in had hit the perimeter wall of the runway during take-off. 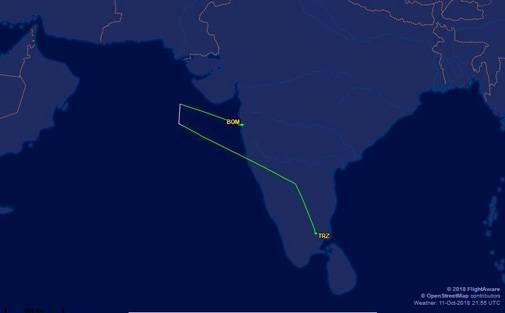 While the Air India flight was flying over the Arabian sea on its way to Dubai, the pilots were informed by the air traffic control (ATC) that their aircraft may have come in contact with the perimeter wall at the Trichy airport. The flight took a U-turn and landed safely at Mumbai airport four hours after take-off. The pilots - who had a combined flying experience of 6,600 hours on a Boeing 737 - reported that their aircraft systems were operating normally. The Air India flight which had 130 passengers and six crew members onboard took off from the Trichy airport at around 1.30 am. The aircraft landed at around 5.30 am and taxied to its parking spot even as emergency personnel stood by. It was only after the Boeing 737 came to a halt in its parking bay that the extent of damage suffered by the aircraft was known. 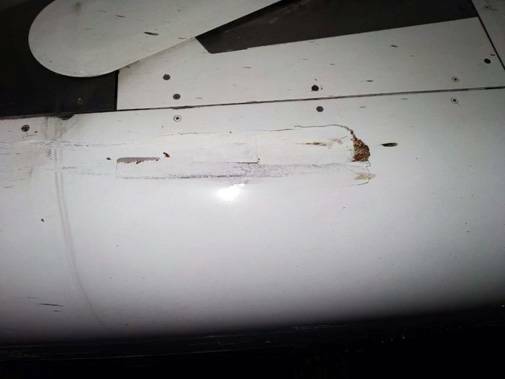 Photos of the parked aircraft show major damage to the underside of aircraft's fuselage. A long tear is seen going laterally down the centre of the aircraft's underbelly. 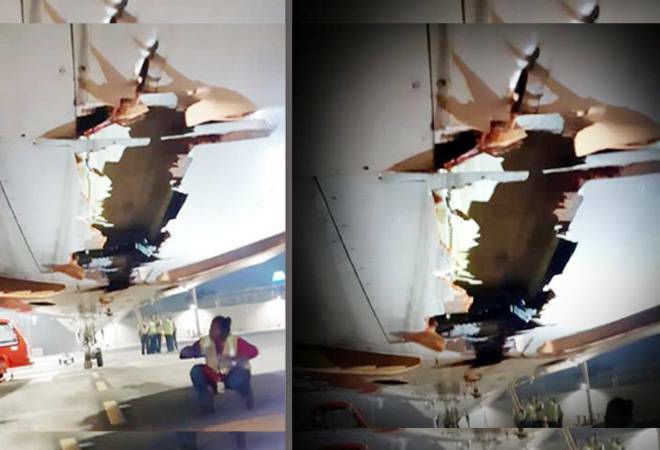 Apart from being ripped, the aircraft's underbelly also suffered minor cracks. The fortunate passengers of Air India Flight IX 611 were moved to a different aircraft, which then took for Dubai with a fresh crew. The two pilots of Air India Flight IX 611 - commander D Ganesh Babu, who has a flying experience of 3,600 hours on the Boeing 737, and first officer Captain Anurag, who has an experience of about 3000 hours on the Boeing 737 - have been taken off flying duties pending a probe by the aviation regulator Directorate General of Civil Aviation.